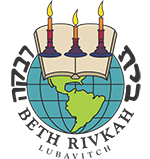 Each Beth Rivkah teacher is highly trained and experienced in working with her respective age group, be it preschoolers, elementary school children or high school girls. As part of their ongoing education, staff members attend workshops and conferences to develop and maintain top-level proficiency and expertise in their fields. The Alter Rebbe instructed the Mitteler Rebbe that one should always hear the cry of a Jewish child. When the Frierdiker Rebbe landed on American soil, his way of listening to the cry of a Jewish child was by founding Beth Rivkah. Today’s teachers follow that example by making Beth Rivkah a warm, Chasidishe place to learn. At Beth Rivkah, teachers have to a significant degree integrated lofty Jewish and Chasidic values into their lives. Staff members frequently move beyond the typical teacher-student relationship to forge a closer bond and mentor the girls. More than simply imparting information, they serve as role models. These are women who choose to come to Beth Rivkah every morning not only to teach, but to impart something of their own personal essence to their talmidos.